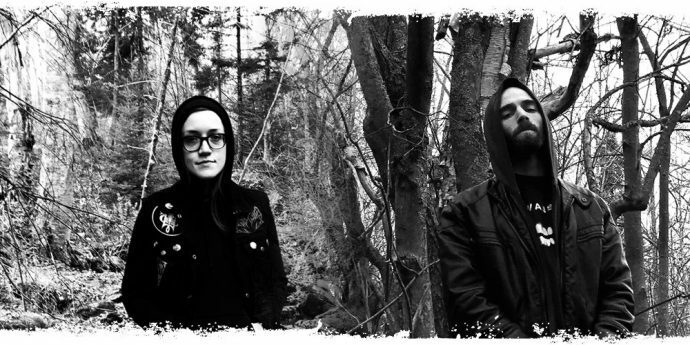 (A guest writer, who we shall call Conchobar, and who has been a source of excellent recommendations to our hapless editor, returns to NCS with this review of the new album by the Nova Scotian band Ulvesang, which will be released on March 16th). If metal has a sense memory, an auditory genealogy that really hearkens and calls upon us almost somatically, subconsciously, its True Name surely falls under the lunar auspice of “folk”. Despite pretensions of elitism and subgenre supremacism that contaminate a lot of the current would-be politico-rhetoric in metal, this art form, both in composition and inspiration, has always been one built from solidarity in solipsism: we are people, alone, together. These roots are almost proto-human: more than us, beyond us, before us. 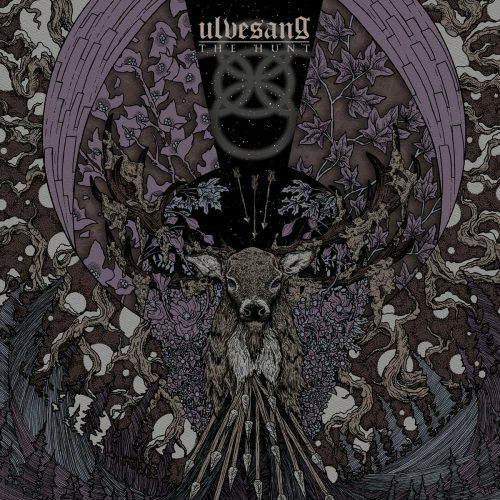 That essence, the axiomatic foundation of what draws us in to listen to music by blazing hearths or over beers, has been tapped eloquently and elegantly on Ulvesang’s sophomore album, The Hunt. This album is a natural growth from the self-titled debut; there is a compositional maturity and thematic coherence here that capitalizes on the wonder and beauty of the first album. Where Ulvesang offered a series of dazzling vignettes and enchanting short-stories leading us through fog-laden forests and over icy river fords, a diverse roundtable of varying voices, listening to The Hunt is akin to being among the rapt audience of a singular skald: the effect is hypnotic and mesmerizing. Subtle field-ambient and percussive interjections, interspersed by whispering vocals, weave a Bayeux-like tapestry, with crests and troughs of sorrow and exultation. To my medieval mind, it is like an illuminated manuscript come to blossoming musical life, with all the graphemic twists and turns of those virtuosic artworks rendered beautifully on a fully-realized auditory canvas. There is a sophistication here which is never complexity for its own sake; the songs are robust and flowing, deep and unified. All particulate and alluvial elements are carried by the stream, forming part of the same strong but varied current. This is music to soothe and music to inspire, music that will strengthen your bones and ignite your spirit. Dream your way into the woods summoned by this duo. Get lost and find yourself among those twisted roots and toadstooled paths of seelie and unseelie courts. Follow the tracks of stags and wolves in the pre-dawn light, the flight of crows and ravens across crepuscular skies. Go deeper than myth and go back to the originary arche-morphology of the folk tale. Be pursued and let yourself be captured by The Hunt. What an amazing review! Not to mention that this is a release I’ve been anticipating for several months.